Born 1918 in Damascus, Syria. Considered the founder of impressionism in Syria. 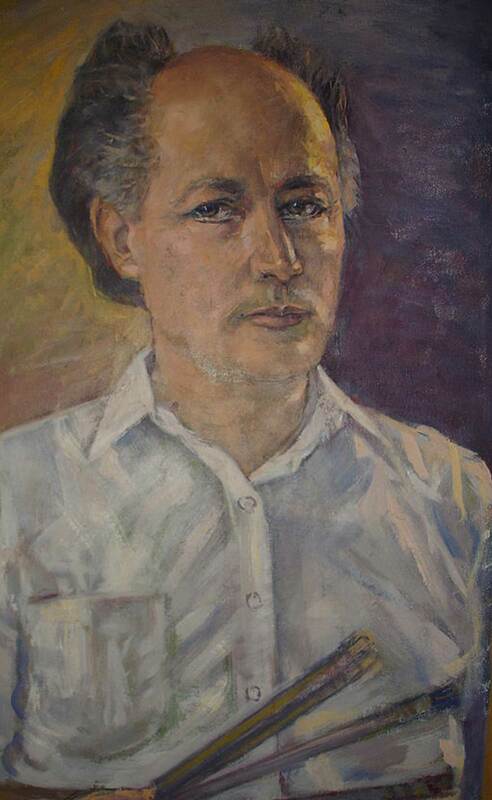 Al-Jaafari studied at the Faculty of Fine Arts in Cairo between 1944–1947, after which he returned to Syria and worked as an art instructor for high school students, then moved to teach at the Faculty of Fine Arts upon its opening in 1960 in Damascus. One of his greatest achievements as an artist is the documentation of the old quarters of Damascus as it existed at the turn of the twentieth century, subjects included Architecture, lifestyles, designs, and fashion. His body of work consists of over 7000 portraits — all still part of the artist’s collection as he rarely sells his work. Nazem Al Jaafari was one of the pioneer impressionists of Syrian painting. Impressionism remained the most popular style in Syria both before and after the Second World War. Al Jaafari was a recluse and seldom sold any of his work because he was hoping the state would build a museum devoted to him. His work was eventually collected by the Museum of Damascus and in by several private collectors. Recently diminutive number of his works was auctioned at Bohnam’s Dubai in 2008 and at Ayyam Auctions in 2010 (Beirut).